The movers and shakers of national youth ministry in America look a little different than they did 10 years ago. 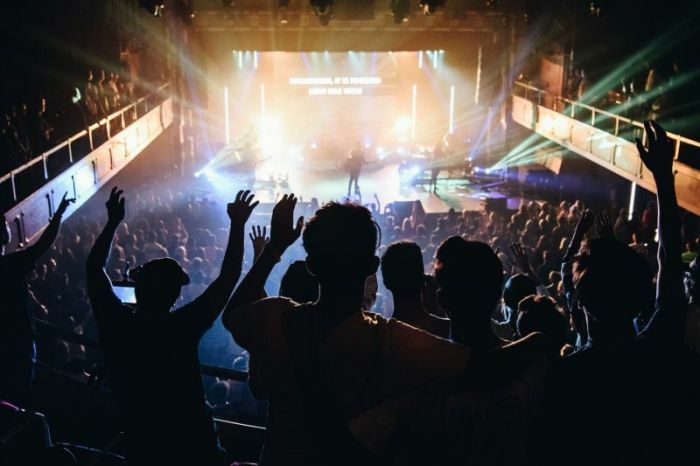 Likewise, some national organizations like Dare 2 Share or Teen Mania that have been known for hosting national conferences and revival-like events attended by thousands of teens and pre-teens nationwide have either had to "reinvent" themselves or shut down entirely. What is happening is what one expert in the field is calling the "tectonic plate shifting" in the world of youth ministry development and training. "We saw just a plunge in national events in every industry with the recession that took place in 2008, 2009, 2010," Mark Oestreicher, a partner with Youth Cartel, a San Diego-based organization that has trained hundreds of youth ministers since its founding in 2010, told The Christian Post. "In the church world, whether that was a national youth ministry [training] event for youth workers or a national youth event, they really struggled and many of those organizations either went out of business or had to reinvent their way of doing things." Oestreicher formerly served as president of Youth Specialties, an organization co-founded by theologian Mike Yaconelli over four decades ago that has grown to provide over 100,000 youth workers across the globe with training and resources to reach the younger generation each year. 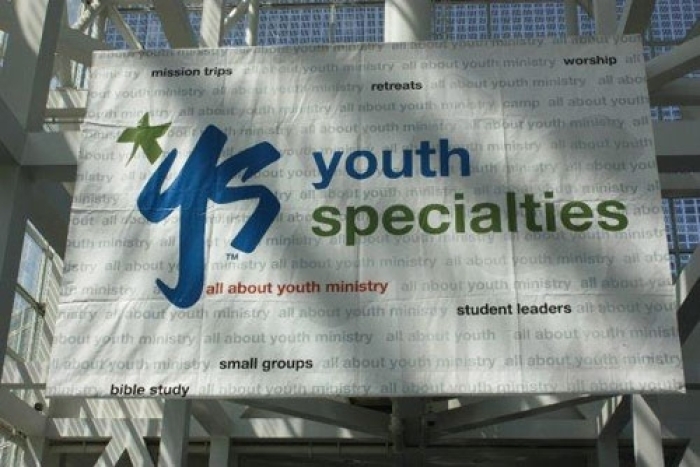 YS, which has been referred to by some as "the brand in youth ministry," also hosts the National Youth Workers Convention every November. But like its peers in the industry, Youth Specialties has faced its fair share of struggles over the past decade as ownership has changed hands three times in the last 15 years. "The truth is that training is done differently today than has ever been done before," Justin Herman, YS' director of social media engagement, said. "The majority of youth workers who are trained are done digitally. They don't need to show up to a location to get high-quality training. They can hop on Download Youth Ministry University and they can watch archives of videos that are going to be watched at [the National Youth Workers Convention] this year in St. Louis." 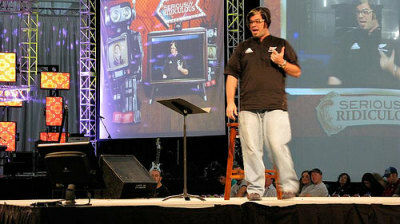 According to Herman, it's groups like Download Youth Ministry, which provides youth pastors with all the user-friendly tools and resources they need to better their ministries online, and Orange, which provides youth ministers customizable online curricula, that have essentially stolen the thunder from the legacy groups like YS. As a matter of fact, DYM and Orange announced in April that they partnered to acquire YS from Real Resources/YouthWorks in hopes of bringing YS "back to life." Real Resources acquired YS in 2009 from Zondervan about three years after Zondervan purchased the organization. Oestreicher, who was let go from YS in 2009, said that what has partially been responsible for plaguing YS and more established curriculum houses with their own warehouses has been the same thing plaguing most churches. Customer base is "slowly going away"
"The way that has played out is that when churches start to struggle financially, and that was definitely the case with the recession, it's also playing out in churches that are struggling with attendance. Their numbers go down so their giving goes down also," he said. "The very first place they tend to cut is in staff development. So many youth workers I know, as their church struggles financially, the budget to go to an event for themselves gets cut. Then, the youth ministry budget is another place that gets cut." "We are definitely seeing a lot of youth workers who are being downsized," he noted. "Churches are moving from a full-time position to a part-time position or they are letting go of a seasoned veteran with a reasonable salary in order to hire a young person with a starter salary. I can't quantify that but that's definitely an observable trend." That trend means that the customer base for these national youth worker training organizations is getting smaller. "Most youth ministries are already [on a volunteer basis]," Oestreicher said. "Our customers are the paid youth workers for the most part. This will definitely be a struggle for my organization in years to come. We are ... serving a customer base that is slowly going away." Although he knows that the trend he has described could present a problem for Youth Cartel, Oestreicher said that Youth Cartel is still relatively new and in a trend of growth. "The larger more legacy organizations like Youth Specialties and others like Group Publishing, they have definitely experienced that where the pool of customers is smaller," he added. Herman explained that as the needs of the marketplace are changing, organizations that are able to adapt are the "ones who are surviving." "Orange is a great example. You don't buy a box curriculum. The whole thing is one big digital package," Herman said. "Those who are in the paper curriculum business found themselves in a really tough spot because email is the quickest way to move things. As the marketplace changed, organizations moved along with that change and some didn't." Herman admitted that YS hasn't done enough to adapt in the changing times. "It was one of the reasons that YS was recently purchased by Orange and Download Youth Ministry," he said. "We have been around for many, many years as a huge cornerstone piece of youth ministry. We've been sold off here and sold off there and it's under different management. It really struggled. It really suffered. Part of the acquisition is to bring YS back to life in some ways. They are helping bring a new influence and new vision to something that has been a staple for youth ministry for decades." Oestreicher pointed out that many of the legacy groups in this space are no longer publishing physical books. He also noted that Group Publishing is no longer running its national event. While YS will continue to hold its National Youth Workers Convention, the Orange Conference has become popular with many youth workers. "I think more high quality leaders and teachers are accessible. Download Youth Ministry is a great example, even the rise of Orange that is giving opportunity and platform to younger leaders," Herman said. "It is creating a wider range that can be drawn from as far as bringing in expert talent, expert teaching for events like that." "The playing field of youth ministry resourcing and developing has really shifted and some of that is really good and healthy," Oestreicher said. "There is a whole bunch of grassroots stuff now that's great. When there is only a handful of large legacy organizations doing it, there tends to be kind of a sameness in the voice of what is being developed and there is a lot more diversity now in what is being offered." Of course, when many people think of national youth ministries, they might think of organizations like Youth for Christ, Fellowship of Christian Athletes, Youth With a Mission, Young Life or other legacy organizations that have been hands on in ministering to kids. "Many of those groups, I would say they are doing well today but in a very diminished capacity," Steve Yates, youth pastor at Intown Community Church in Atlanta, Georgia, who's also on the teaching staff at Covenant Theological Seminary in St. Louis, Missouri, said. "Most of those groups have sold their campuses and used to have the gigantic office structures and stuff. They sold their campuses and they have largely downsized their staff. They sold their publishing houses, many of them. They have sort of morphed into very different versions of themselves."